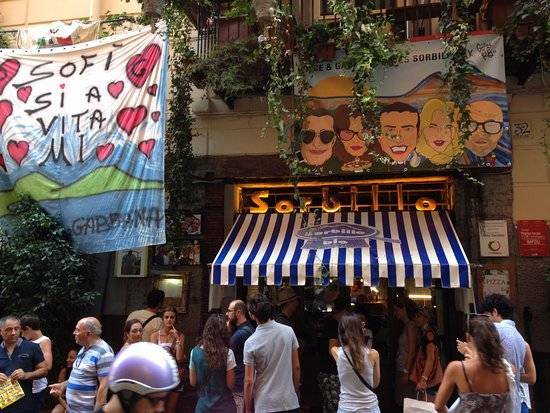 We reached Sorbillo by phone upon his return to Naples. 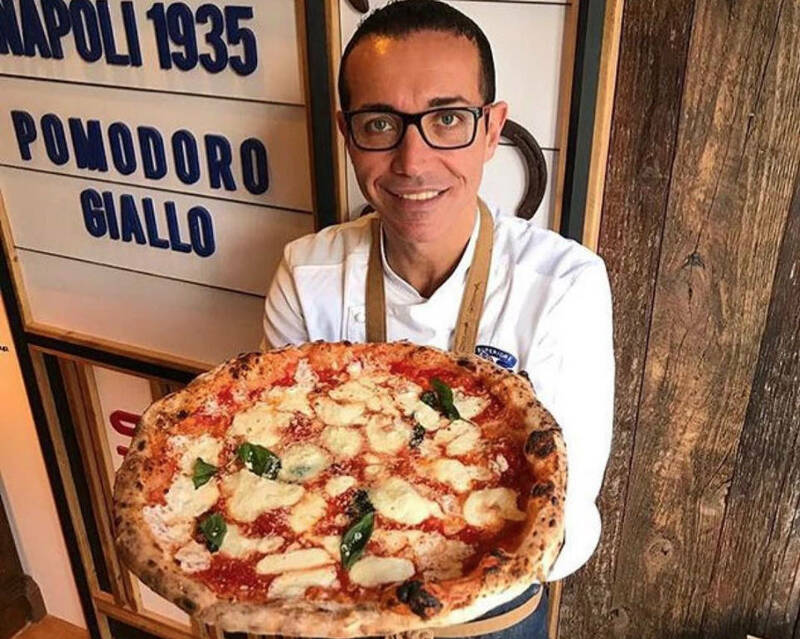 He spoke to us with all the candor and spontaneity that has made him not only a great interpreter of Neapolitan pizza but also an authentic communicator. “He’s always been very nice to me, and I immediately felt a strong esteem towards him. You did something in Naples for his reelection. Could you tell us about it? And he was a man of his word! 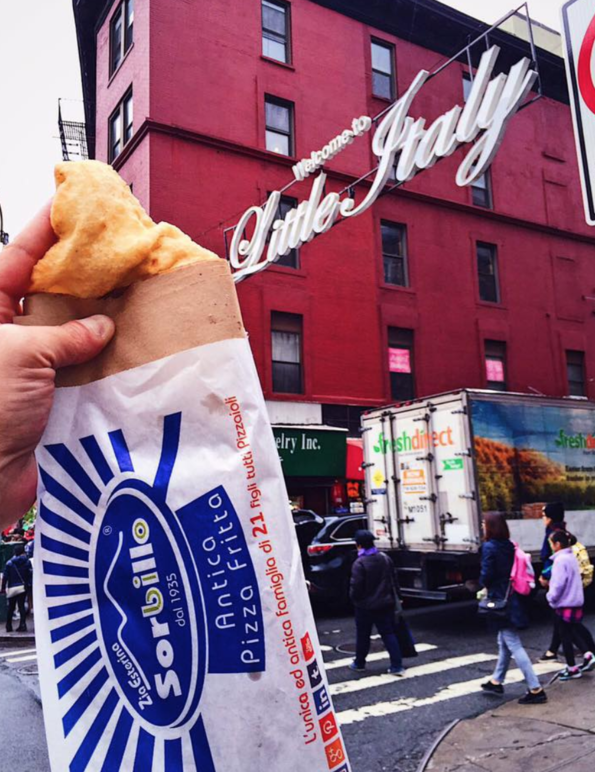 It’s a pizzeria among friends, just like the one in Naples. How is it working in New York? 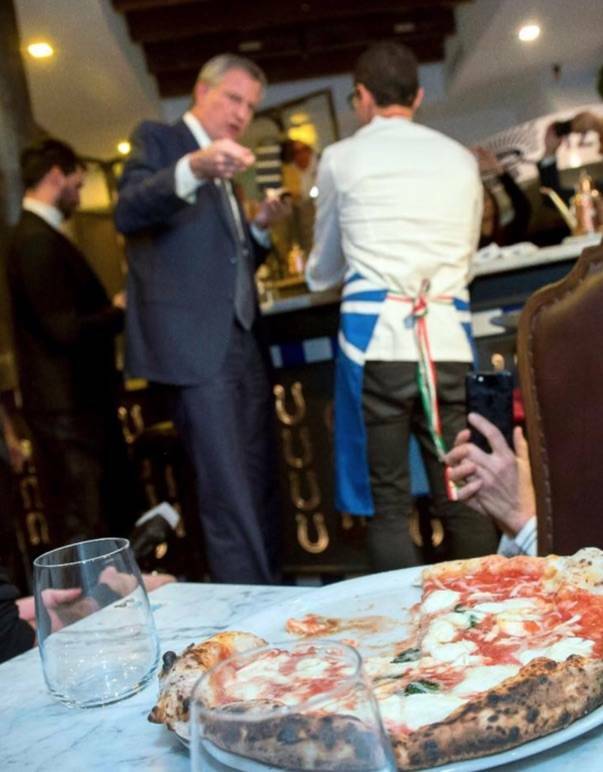 What’s different in respect to Italy? 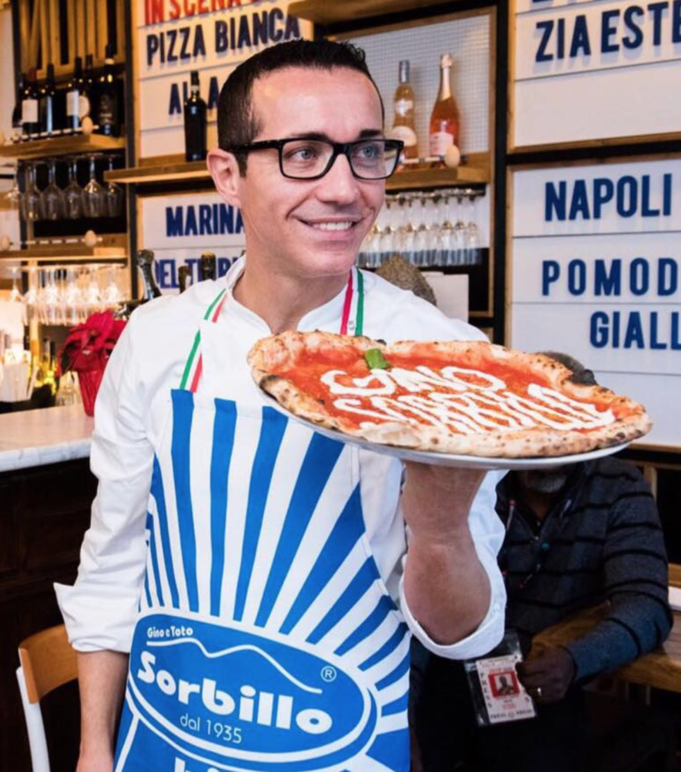 Is it difficult to make pizza in New York? Authentic pizza, I mean. What are the difficulties you’ve encountered? I imagine that’s a difficult balance to keep. A real challenge. 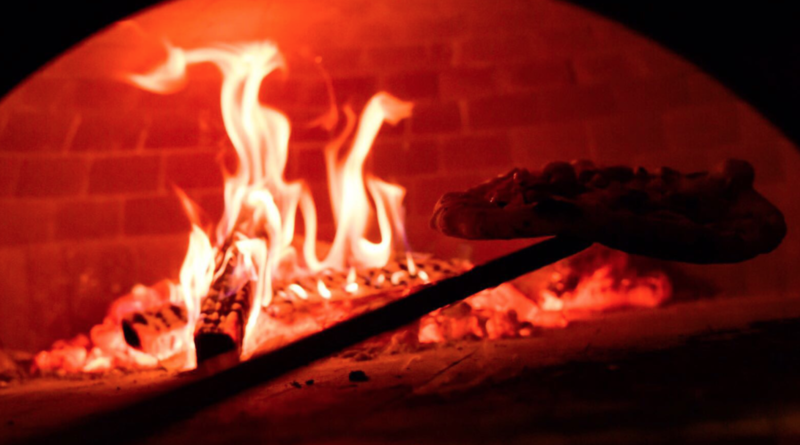 You’re known as the “pizza artist.” How important is your creativity? How do you combine creativity and tradition? 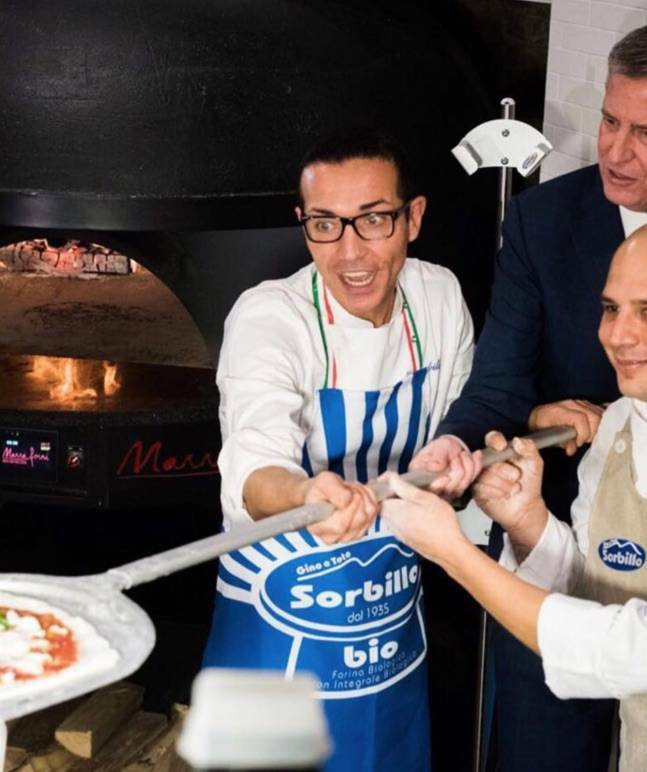 “If you really know where the pizza comes from and you really know tradition, you can be creative, and you can think about ways to reinterpret it. It can be done. It’s as if pizza were a living thing and a true creative moment for you. 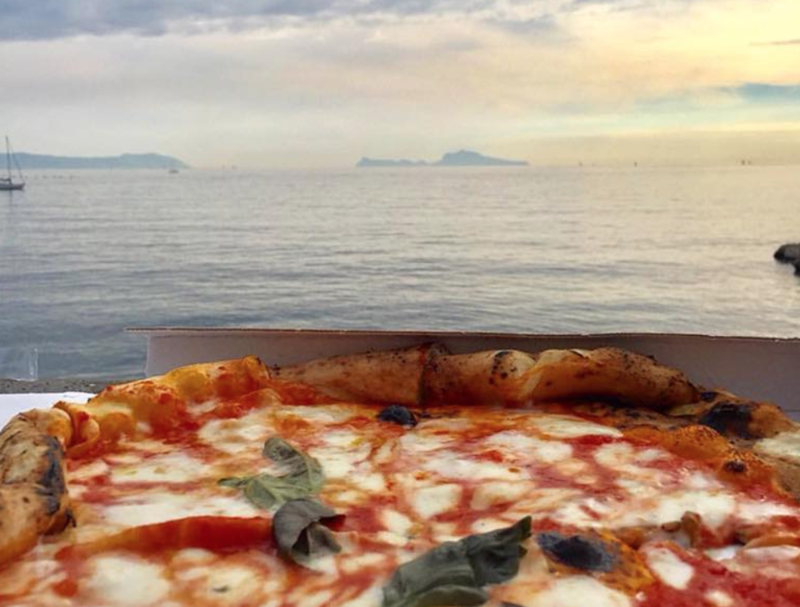 You bring pizza to the world but also to you own city, Naples. A true inspiration. We know it here too, and it’s in the imaginations of many Americans. 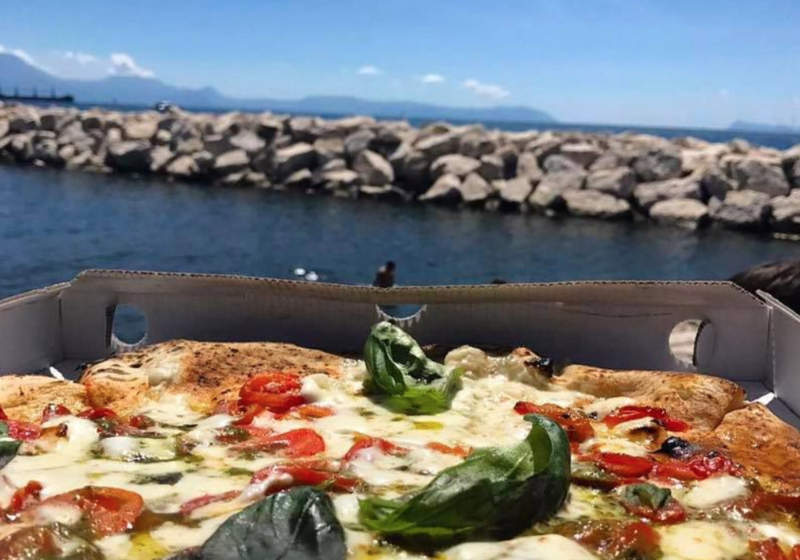 Let’s tell anyone reading in Naples what your day today consisted of. What did you do before this interview with me? Regarding communicating Naples to others, there’s an artist who we met personally and who we both love. He told about this city in the most genuine, and at the same time brilliant, way possible. His name is Pino Daniele. 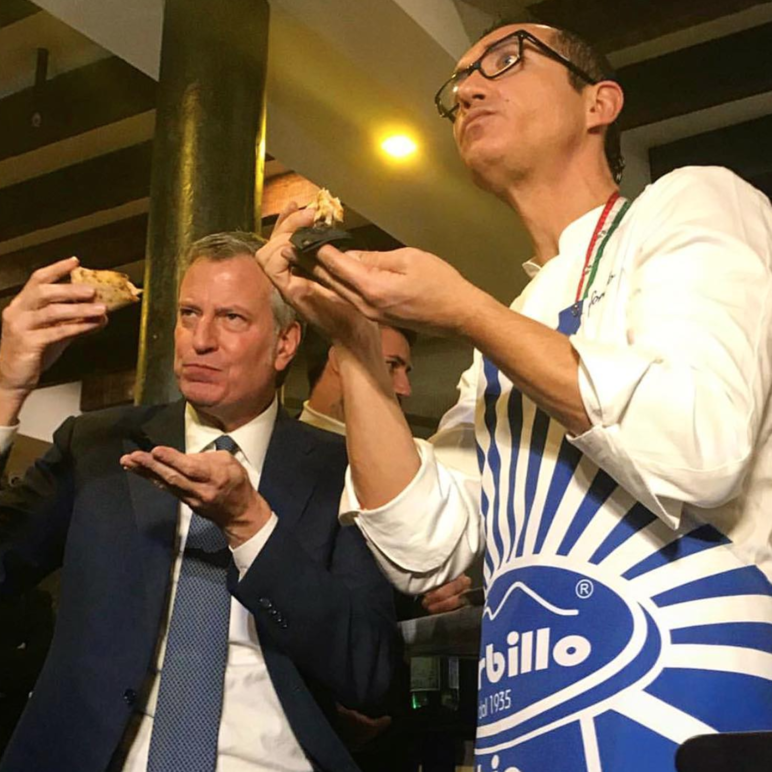 I was told that when Bill de Blasio came into your pizzeria, one of Daniele’s discs was playing in the background. Right away the Mayor said, “I know Pino Daniele.” How much does his music still live on in your life? “His daughter and his wife still visit me to eat. I grew up with his songs. Let’s turn back to pizza. When did it first come into your life? You’ve become a point of reference for many young people. Let’s get back to New York. Imagine you were personally delivering your pizza to someone. Who would you like to deliver it to? Your life shows that dreams can come true. 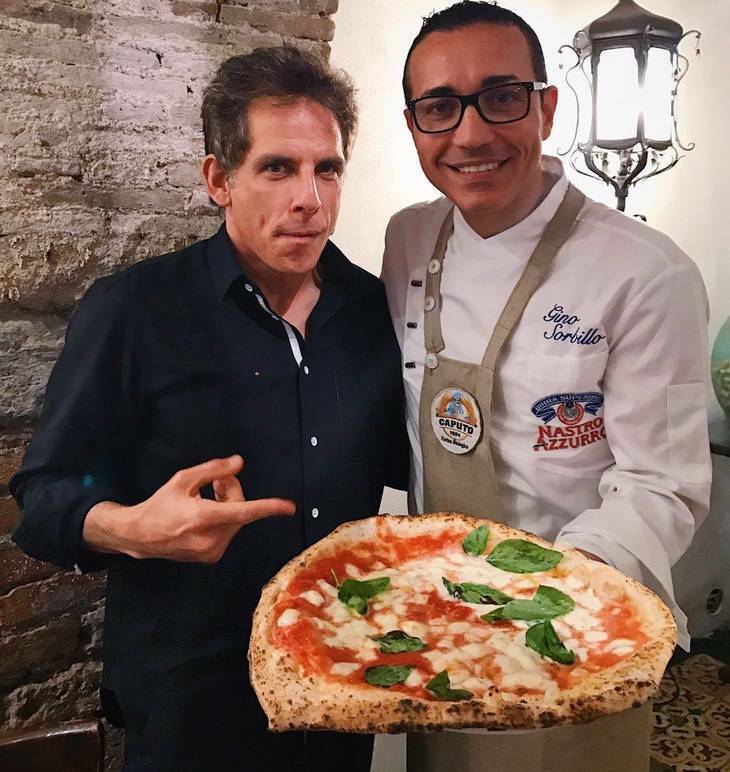 Is there any pizza that you like in particular? 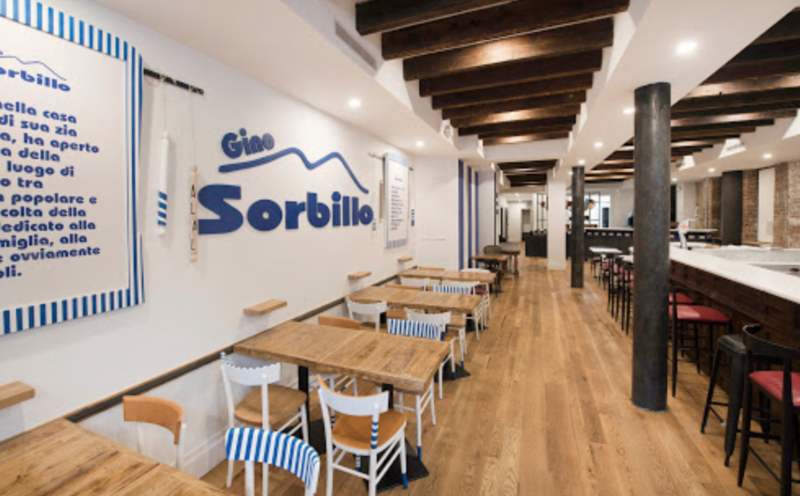 “The Calzone is a classic Neapolitan pizza that’s stuffed and closed.